The Uncharted series has been one of Naughty Dog’s finest creations, commercially and critically, without a shadow of a doubt. So after four main games with the brilliant Nathan Drake, one of Playstation’s finest developing partners has decided to expand the series with a new, slightly shorter than normal entry in Uncharted: The Lost Legacy. Only this time, here come the girls. So is it any good? You bet your arse it is. So what’s the deal this time around? Well, Among Thieves MVP Chloe Frazer gets her own adventure trying to find the legendary tusk of Ganesh in the western Ghats of India where she’ll square off against other interested parties with a big bad at the helm who wants the tusk for themselves with some climbing, running, jumping, climbing, shooting and some climbing along the way. It’s all very Uncharted and it is fantastic. The game works because it knows what it is. It’s not trying to reinvent the wheel and that’s okay, because when your product is this good you’ll be having too much fun to really care. That thrill of swinging over the deepest of gorges onto an awaiting ledge, barely making it as Chloe’s hand slips before pulling herself up from impending death is still as heart-racing and satisfying as it ever was. 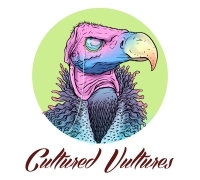 Those quick, jump-scare moments of a ledge crumbling under your weight as you traverse a monument hundreds of feet up in the air, only to grab another ledge right at the final second still gives you the adrenaline rush that Naughty Dog introduced to our inner fortune hunters all those years ago in Drake’s Fortune. It plays how Uncharted has always played, as a giant Indiana Jones simulator sans Nazis. The Lost Legacy works on a number of levels. Graphically, it’s a delight because dear lord this is a good-looking game. It’s such a lovely change to see a game this bright and colourful with greenery and views that’d keep David Attenborough happy – the mountainsides of India look staggeringly beautiful. I frequently found myself just putting my controller down and looking around at the views this game has to offer; it’s like looking at an adventure brochure of India’s countryside in places. The detail as well is particularly impressive, whether it be the bruising on Chloe’s knuckles while perusing the in-game mobile phone or seeing individual hair strands stuck to her neck post-runaround. It’s all incredibly well-produced and is testament to Naughty Dog’s development team. That well-produced factor also comes into effect with the overall gameplay as anybody that played Uncharted 4 can attest to. Even with its far shorter production schedule compared to its predecessor, it still runs smoother than a Nathan Drake wisecrack. While still split into nine chapters but primarily taking place in one location, it could be argued that this is the first open world Uncharted game to date. Chapter 4 in particular is the first time the series has truly offered the player the chance to complete a task all in one giant location in a non-linear fashion to forge their own path, literally and figuratively, to their objective. This is done with the aid of the jeep, a la Uncharted 4’s Madagascar chapter, and while definitely required, the driving mechanics could do with an MOT as they feel a little sloppy and collisions aren’t realistic. However, seeing Chloe behind the wheel literally changing gears (there’s that detail again) in an open world environment is a welcome addition that could definitely give the series some added longevity in future titles. The Lost Legacy also succeeds by having Chloe as the main protagonist this time round. Chloe Frazer has always been a fan favourite, but finally getting to play as her exclusively is a treat. 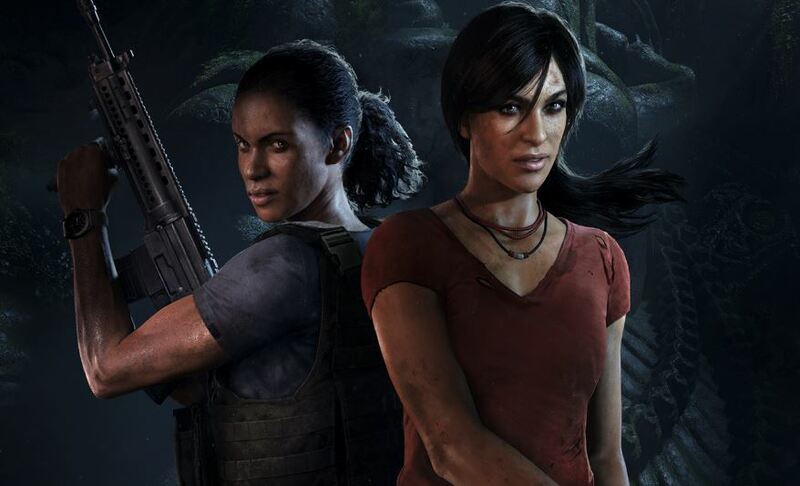 Pairing her up with Uncharted 4’s Nadine Ross is a great move as it gives us chance to finally see these characters develop nicely from mere mercenaries to good acquaintances, like a classic buddy movie over the game’s runtime. It’s also a lovely way of marrying the series’ past and present generations together seamlessly to create the best of the PS3 and PS4 titles alike. As per all the previous games, The Lost Legacy is impeccably performed. Claudia Black and Laura Bailey return to voice and mocap Chloe and Nadine respectively and their chemistry shows well on screen. Usman Ally is also solid as the game’s antagonist Asav, if albeit slightly underdeveloped as the foil to our master treasure hunters. It’s not perfect, however. The game’s shorter runtime means there are some pacing issues. Certain chapters last for an age while others breeze past in no time. Chapter 4 in particular goes on for a very long time and starts to get a little tedious towards the end. There’s also a lot of emphasis on stealth here, just like in Uncharted 4 – there will be a lot of time spent by you hiding in tall grass waiting to despatch unwitting grunts. Also, set-pieces aren’t as frequent as previous entries but with a shorter runtime this is completely understandable. But when they’re the series’ USP, this might be what you came to see – with a £25 price tag, you may want some more bang for your buck. Depending on your skill level, you should have The Lost Legacy beat in around 8-10 hours, which while not as long as the main games in the series, 8+ hours of main story plus the added replay value of collecting those hidden treasures (and photo moments) is hard to grumble at when other game franchises charge you through the nose for DLC that doesn’t amount to much. Nevertheless, it’s still classic Uncharted. Not much has truly been added to the formula but when it’s this good who really cares (although the lockpicking mechanic is a nice little addition)? It’s running, jumping, climbing, swinging, shooting and puzzle-solving while chasing after the mythical thingy. It’s exactly what you want from Uncharted but with a new leading character to get better acquainted with. Sure, Chloe isn’t as much of a smartarse as Nathan Drake, but she’s still funny in just more measured bursts. It’s hard not to get behind her and enjoy playing as her (plus we need more AAA games with female protagonists); Chloe Frazer is every match for Nathan Drake. While Uncharted: The Lost Legacy isn’t the best of the series (Among Thieves, you’ll never be bettered) there’s still so much to love about this slightly shorter game. It is a joy to play and look at. While it’s a little pricey for its playtime, it’s still worth your money because it’s next-gen action adventure treasure hunting that you won’t beat unless you’re playing Uncharted 4.